“Bananas games have often been described as a circus with a baseball game breaking out. It’s because of our amazing characters that make the show so successful. This year we are taking the show to another level and looking for a great cast that is talented and knows how to have fun.” says owner Jesse Cole. The first available opportunity is to be a Banana Nana. That’s right, the Savannah Bananas’ world famous official dance team is holding its first ever public auditions. Come learn a basic routine with one of our Banana Nanas, and show us your moves for the chance to earn your coveted spot on this talented list of performers. 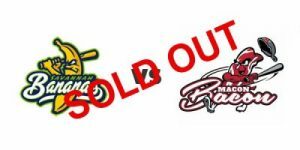 The Man-Nanas are one of the new additions coming to Savannah Bananas’ games during the 2019 season. Gentlemen, listen up. This is a call to action, a sounding of the alarm, an invitation to the party. The Man-Nanas is the exclusive Savannah Bananas all-adult-male cheerleading team. Men specializing in embarrassing their kids/spouse (or themselves) are a must. The Man-Nanas will perform on the field, as well as lead cheers throughout the grandstands. The Man-Nanas will harness and direct the energy of our fanbase. Come to auditions to learn a basic routine and to show us your energy! We want your help to turn the energy up to an 11 out of 10. Are you, or is someone you know, an amazing singer? We want to show the world! The Bananas will be holding open auditions for National Anthem Performers. When you arrive at auditions, you’ll sing the anthem on-camera. That’s it! This brings us to our search for the best Banana Baby. Parents (or soon-to-be parents) can come out to auditions with their children for an interview! Brace yourself for some silly and fun questions, as we attempt to find the most amazing Banana Babies possible. Finally, the last open audition is for Members of the Banana Band. Attention rockstars! Anytime from 1-3pm, high school students can audition by performing a 60-second selection from any piece of music they choose for The Director of the Banana Band, Sean McBride. High energy music is encouraged, but not required. If you can rock your instrument, we’ll hook you up with rockin’ music. The Banana Band is looking to add to its next wave of musical masterminds, and we want you to be a part of it. 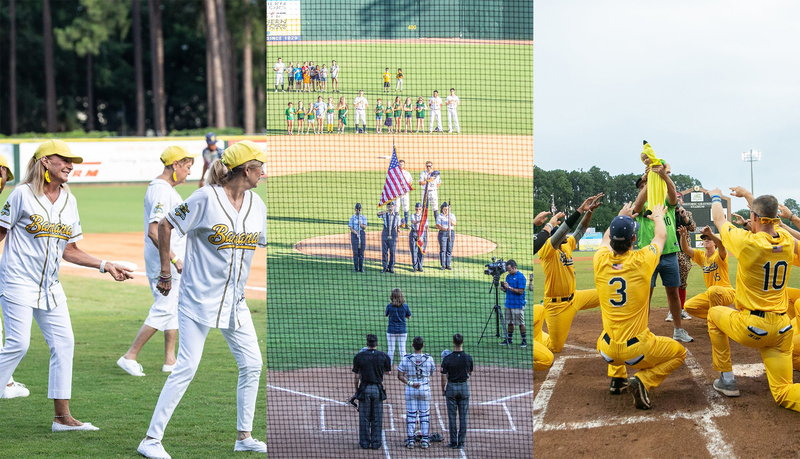 Auditions will be held at Grayson Stadium, home of the Savannah Bananas, on April 20th from 10am-3pm. Banana Nanas (10am) and Man-Nanas (11am) will need to arrive to audition at their respective times. National Anthem Performers and Banana Babies are welcome throughout the day (10am-3pm). Banana Band auditionees may audition anytime within the afternoon window (1-3pm). If you’re interested in auditioning, you can fill out the form below!